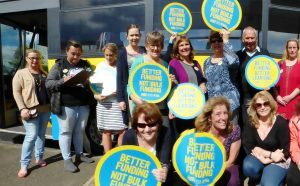 The Better Funding message hit the streets in 2016! 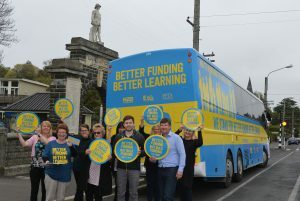 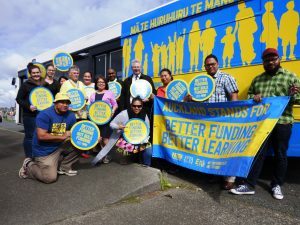 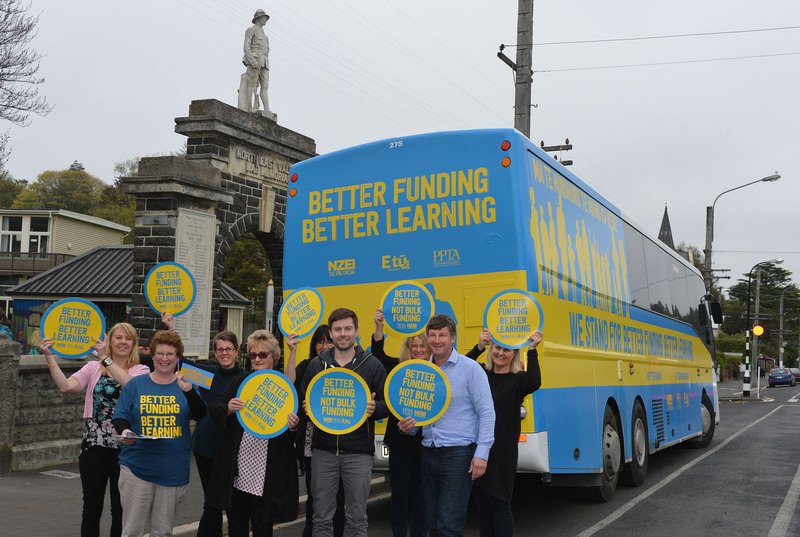 Three buses set off on a tour of more than 100 schools and ECE centres, beginning in Auckland, Wellington and Christchurch, and then travelling on to Hamilton, Tauranga and Rotorua, Palmerston North and Whanganui and Dunedin. 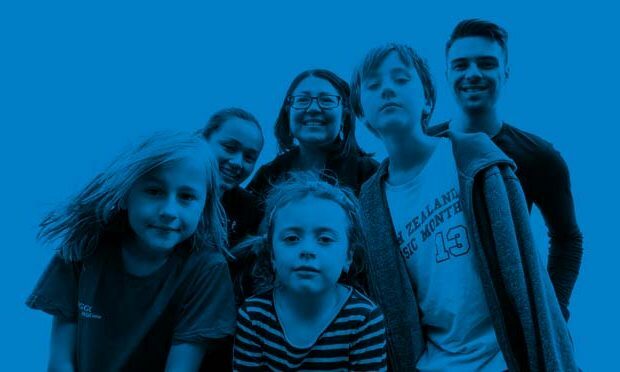 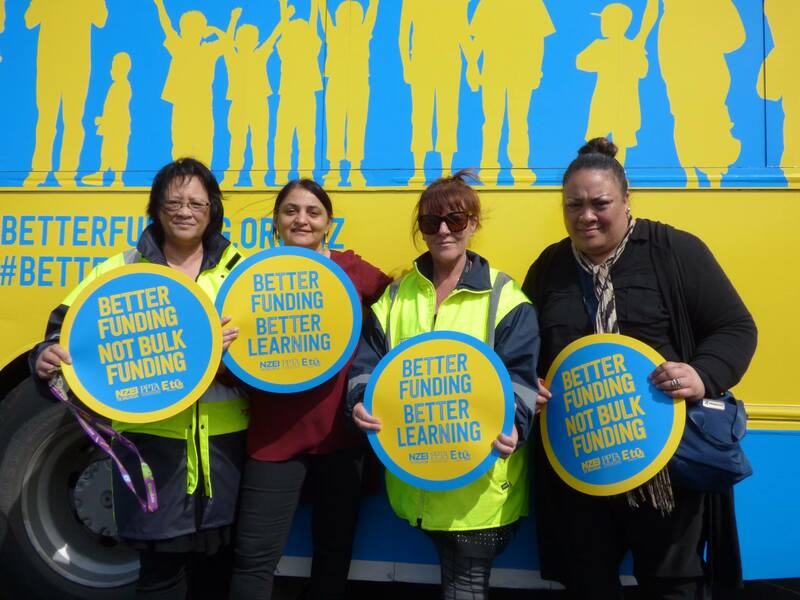 We spread the Better Funding message to parents and whānau and the wider community. We filled in thousands of Better Funding postcards to sign and send to Parliament, plus we gathered signatures for our Support Staff petition. 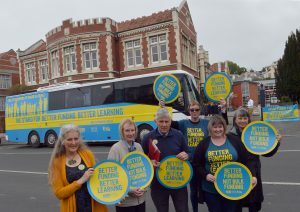 NZEI PPTA bus tour of Dunedin…At North East Valley Normal School Teachers gather outside the bus holding protest discs. 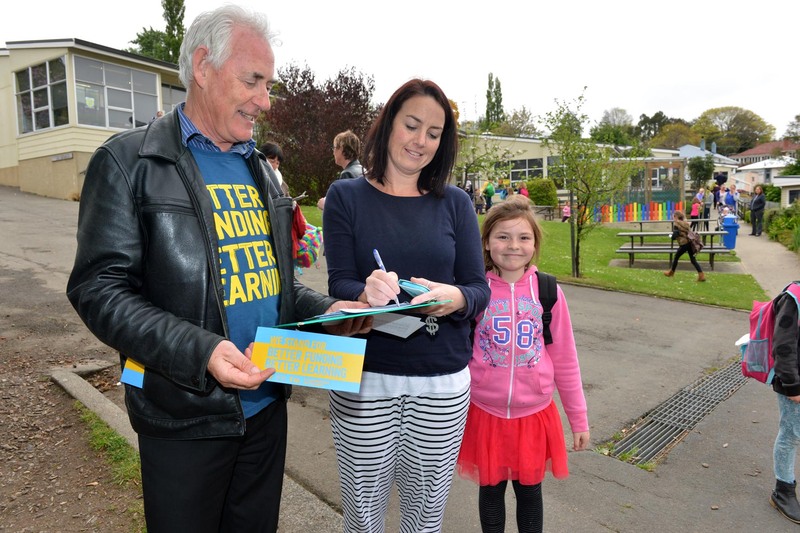 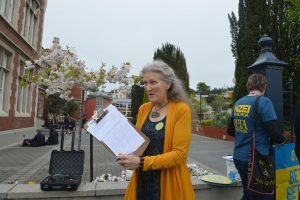 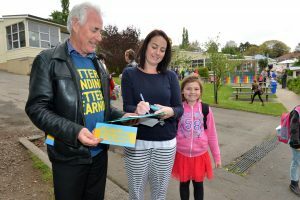 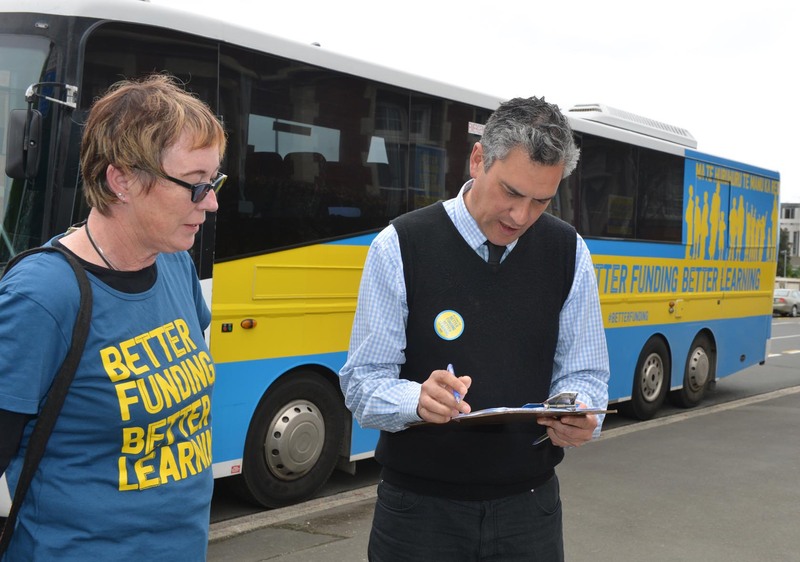 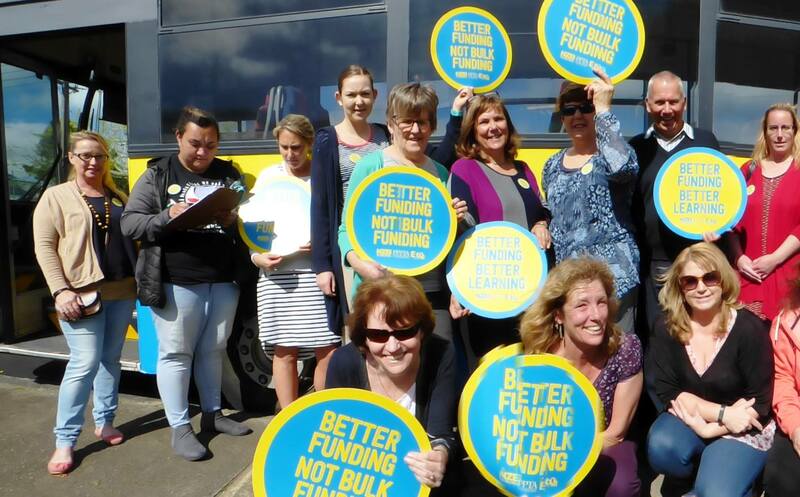 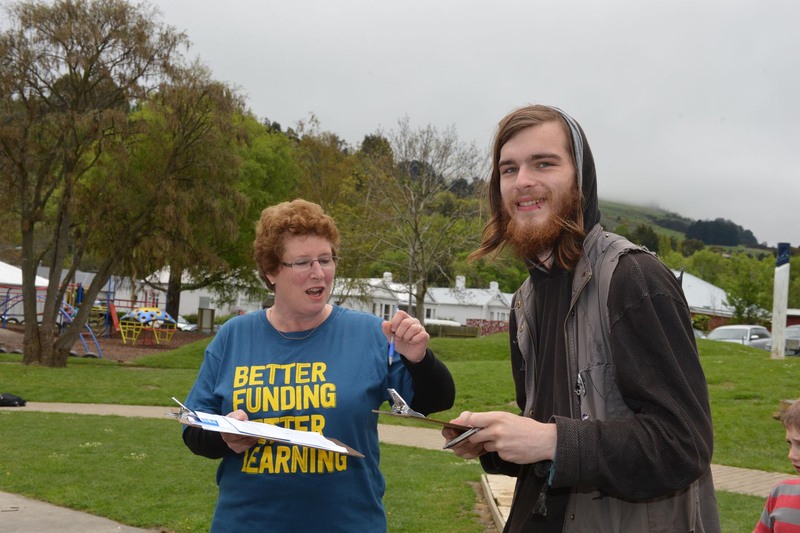 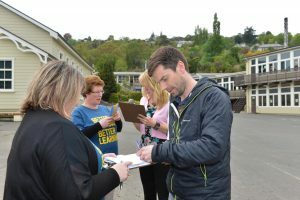 NZEI PPTA bus tour of Dunedin…At North East Valley Normal School Pictured from left Paula Reynolds NZEI field officer, Lee Phillips co chair Otago Area Council, teachers Theresa Bowen, Ed Ansell sign the petition.